When a customer requested our help in finding a product for a machine application where the OEM was charging a ridiculous amount for a wear part, we were fortunate to come across a UK manufacturer of ANTI-SLIP tapes and products. They had an excellent range, great quality, UK produced items and the pricing was just right. 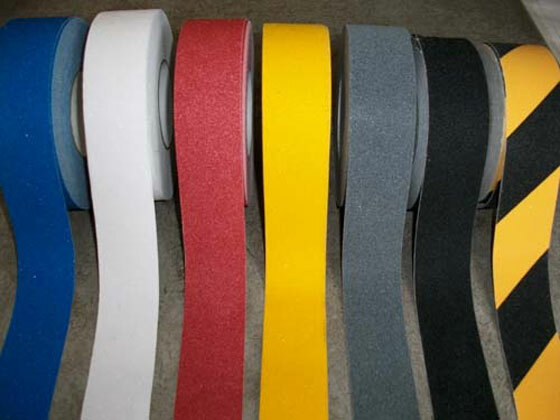 We are now pleased to be able to offer this product range of Anti-Slip tapes in colours Black (3 grades), red, yellow (2 grades), blue, green, grey, brown, white, transparent, fluorescent yellow, red/white chevrons and black/yellow chevrons. There is a product range to suit heavy industry, food safety areas, wet environments and a chemically resistant variant. It comes in Glow-in-the-Dark and fluorescent colours and with safety messages imprinted. If you have an application, our supplier will have a solution. 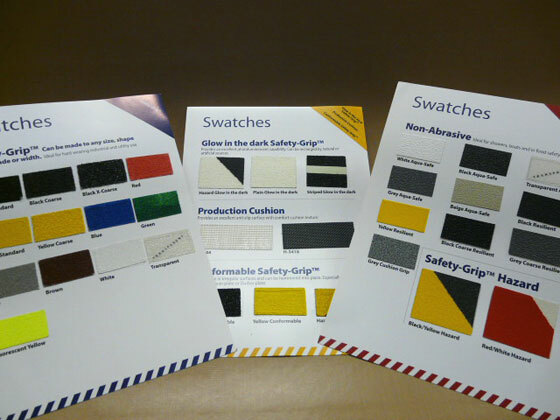 Please request a sample swatch card or sample piece for testing, we will be happy to supply. Once again please give Spel-Gate Industrial the opportunity to save you time, effort and money in finding products to resolve your engineering problems.